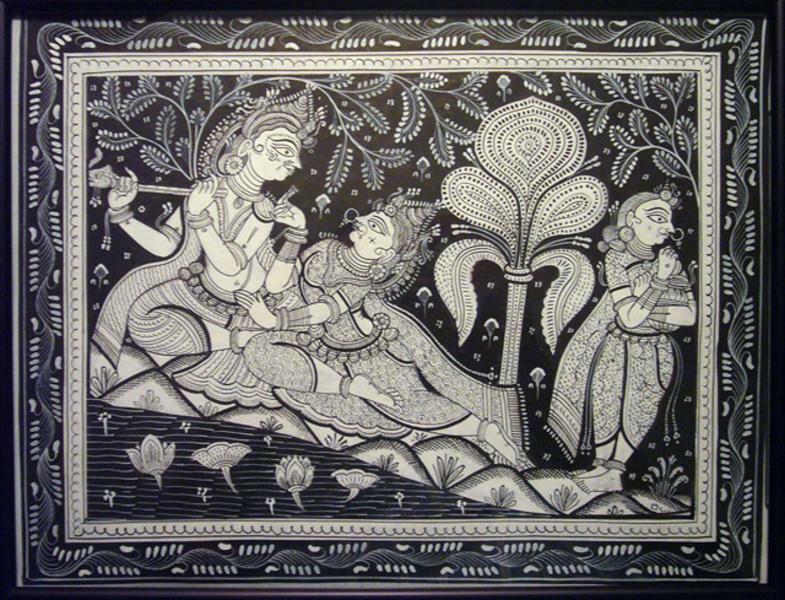 The Indian state of Orissa has a rich cultural and artistic heritage. 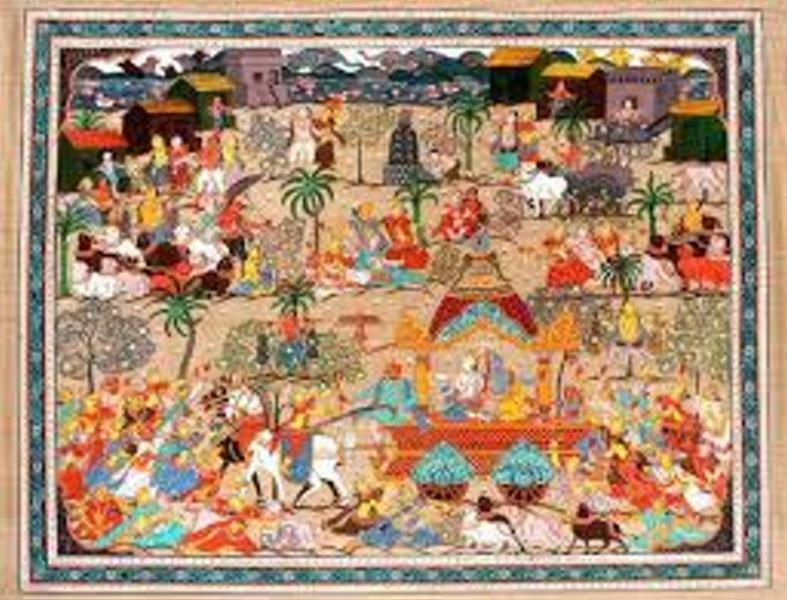 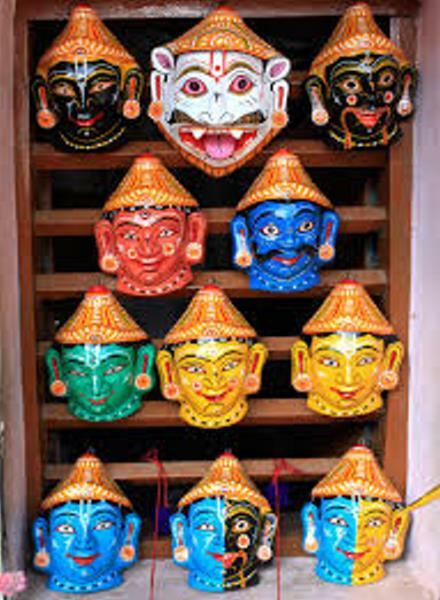 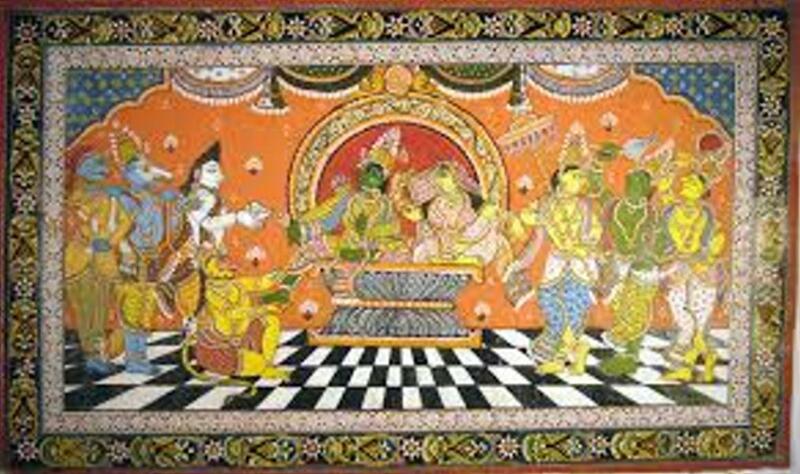 Due to the reign of many different rulers in the past, arts and crafts in Orissa underwent many changes giving an artistic diversity today in the forms of traditional handicrafts, painting and carving, dance and music. 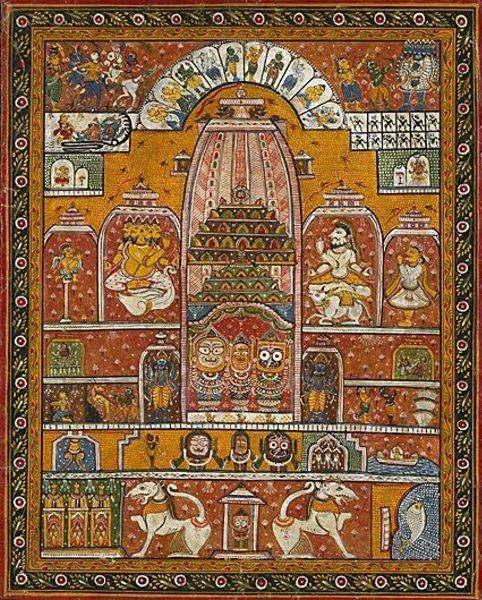 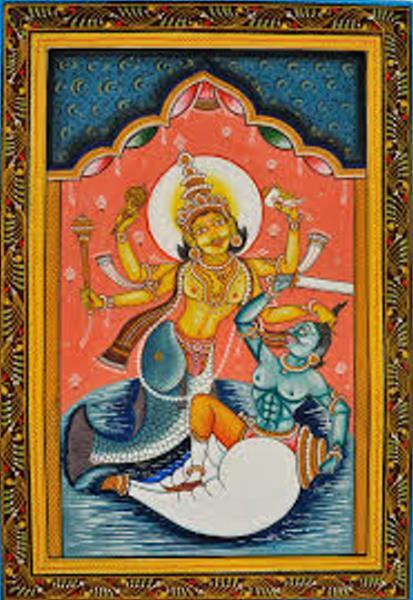 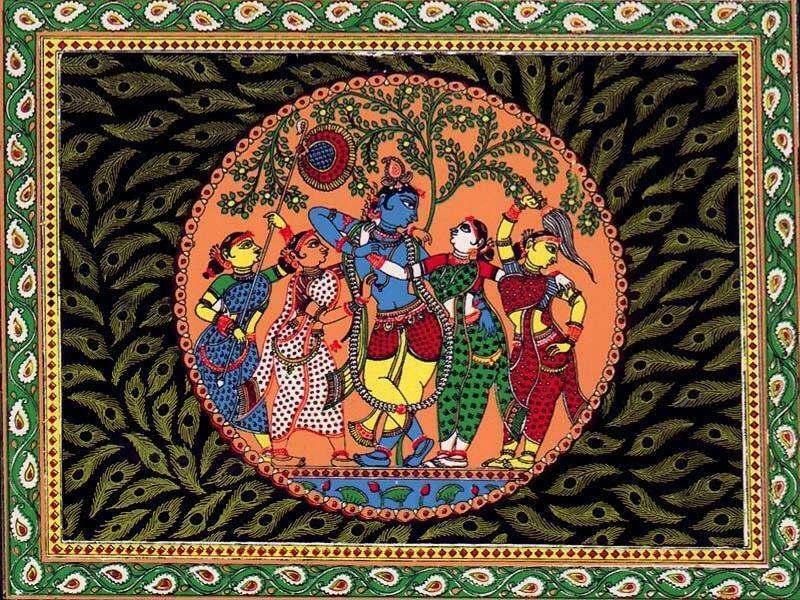 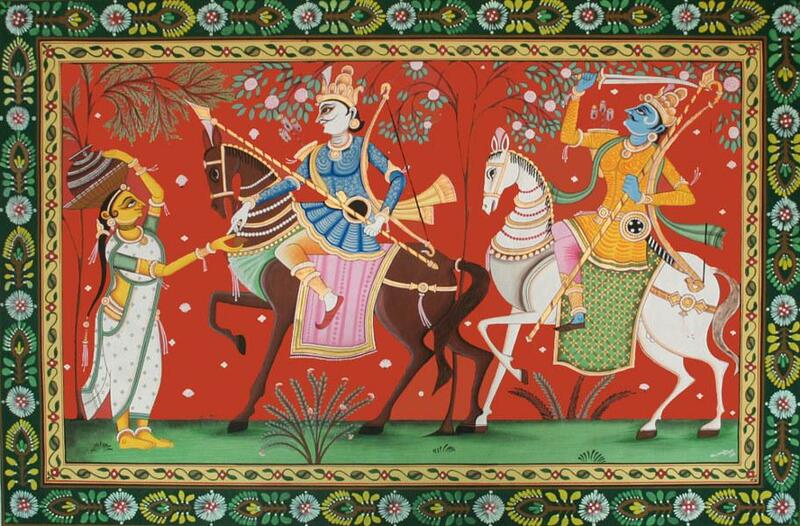 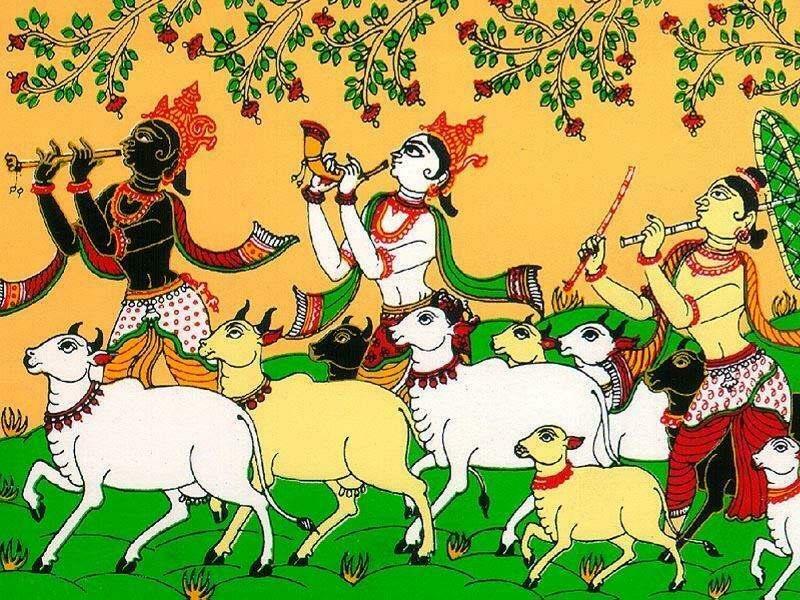 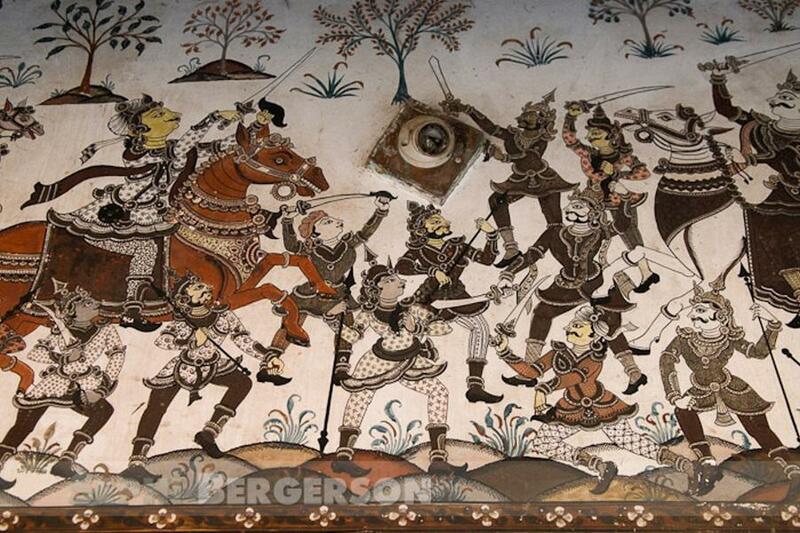 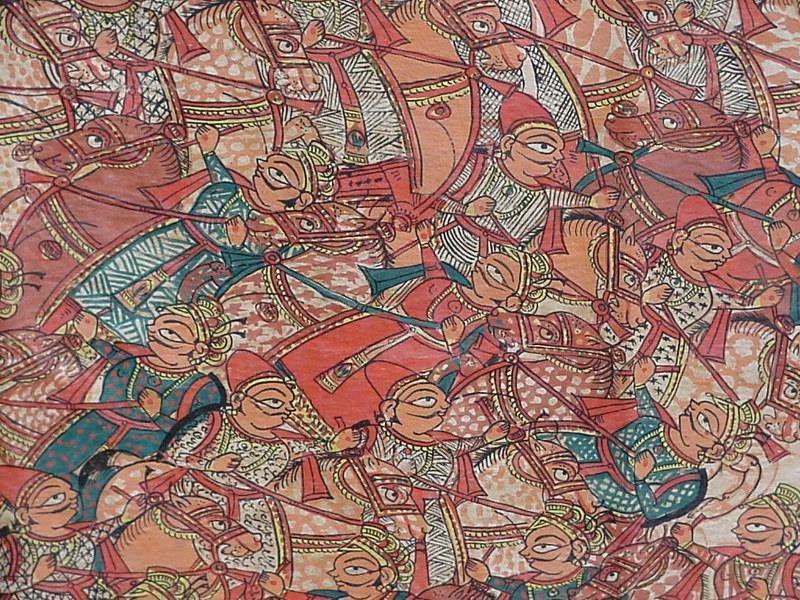 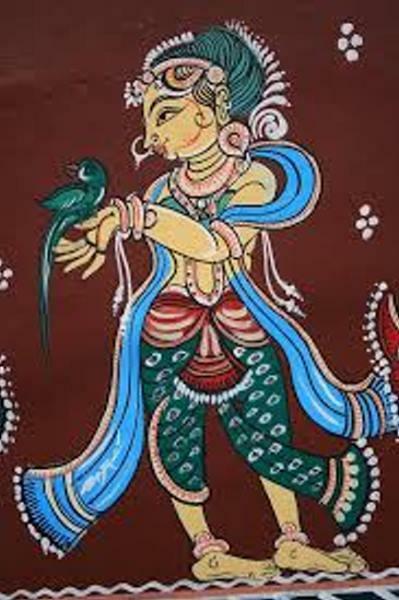 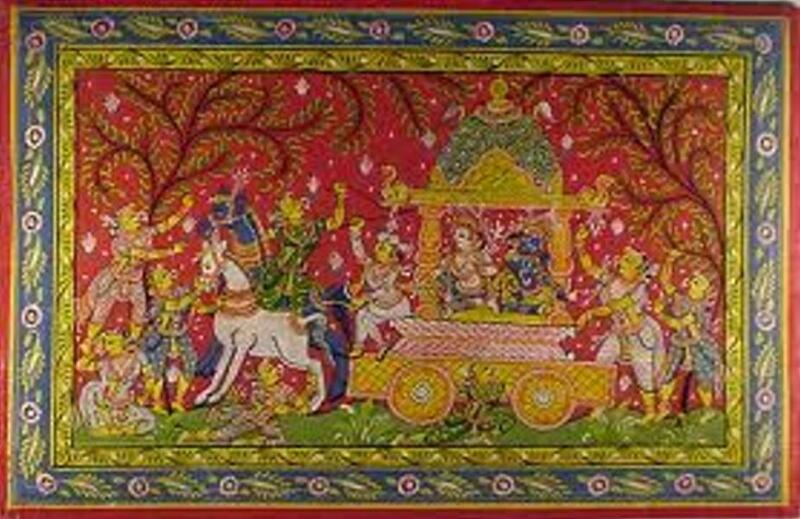 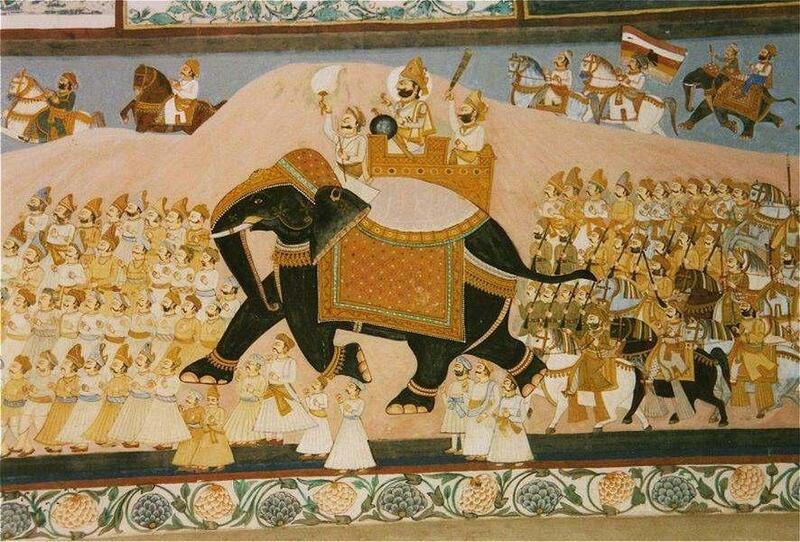 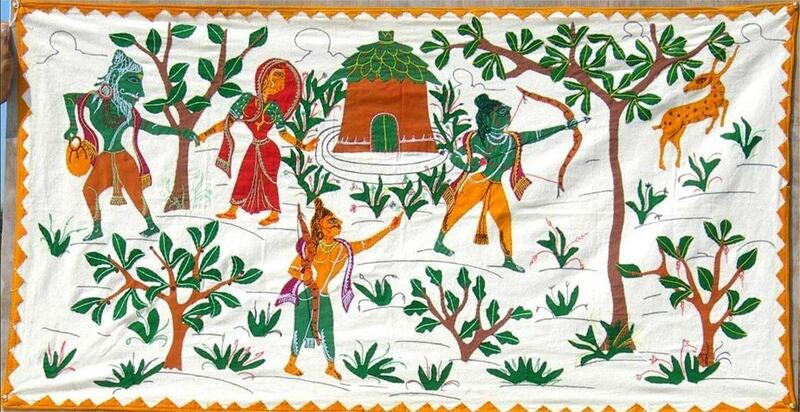 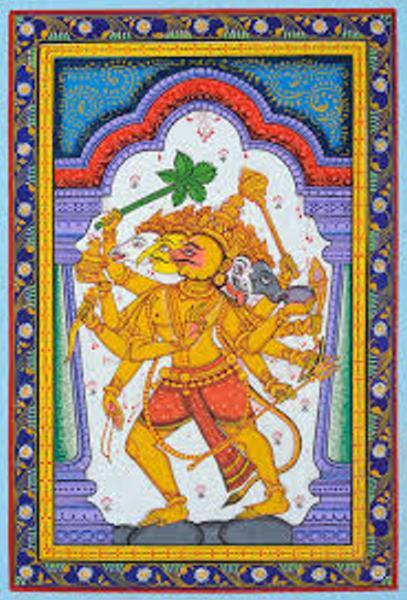 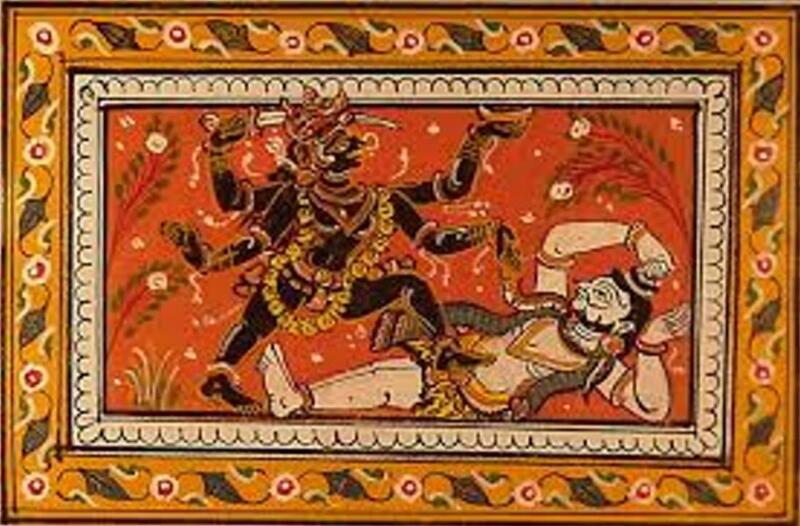 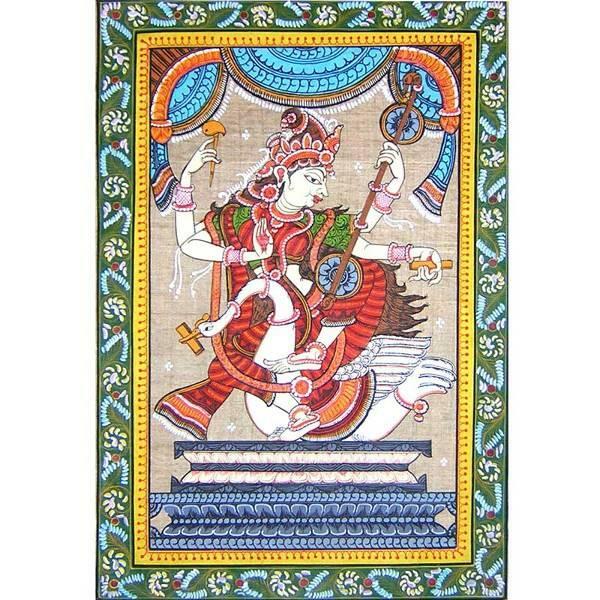 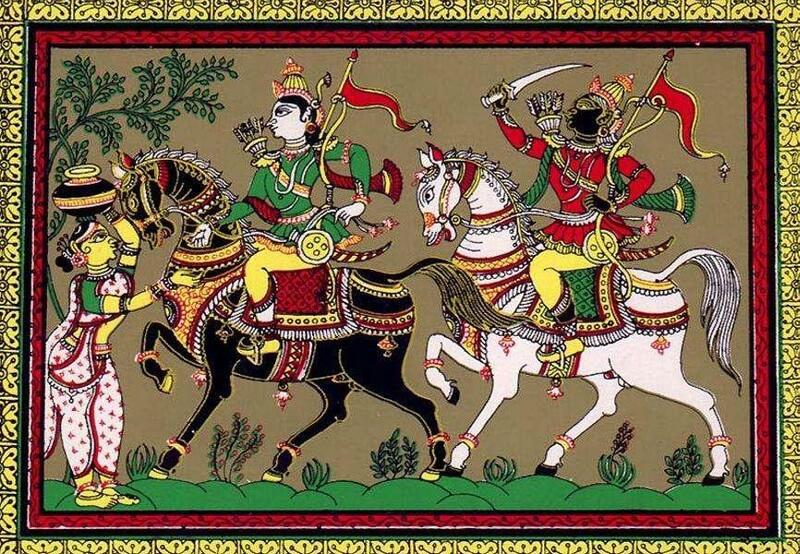 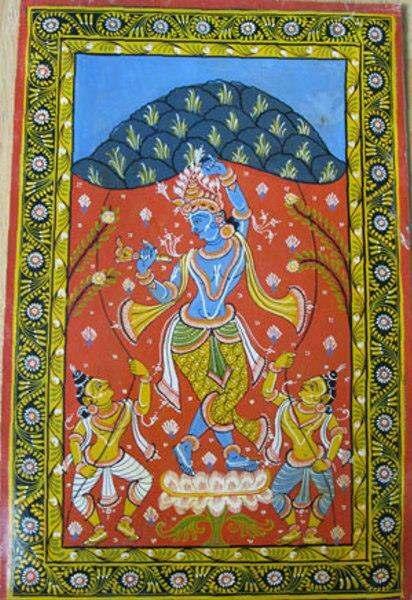 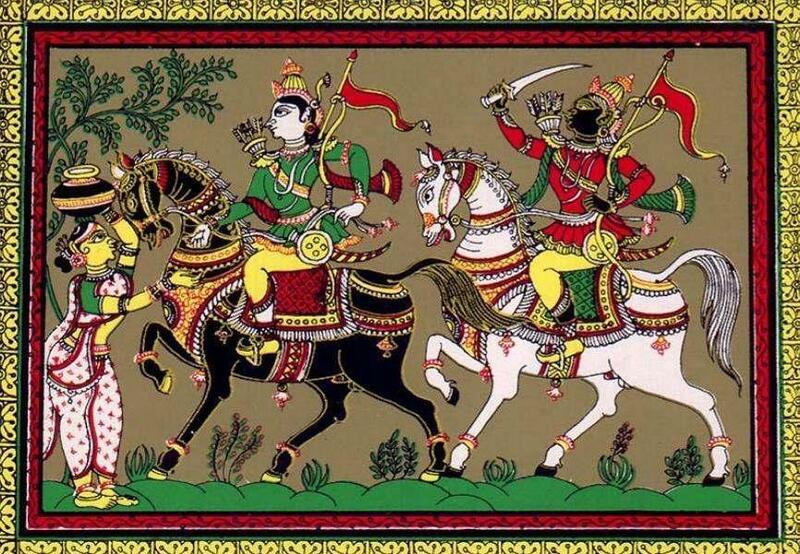 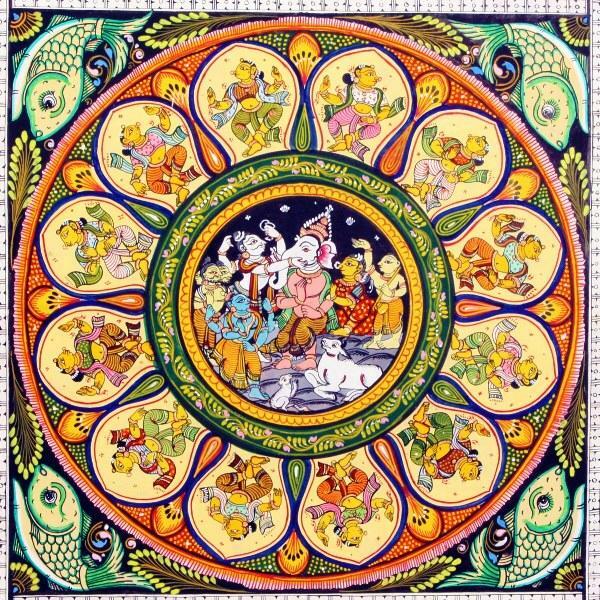 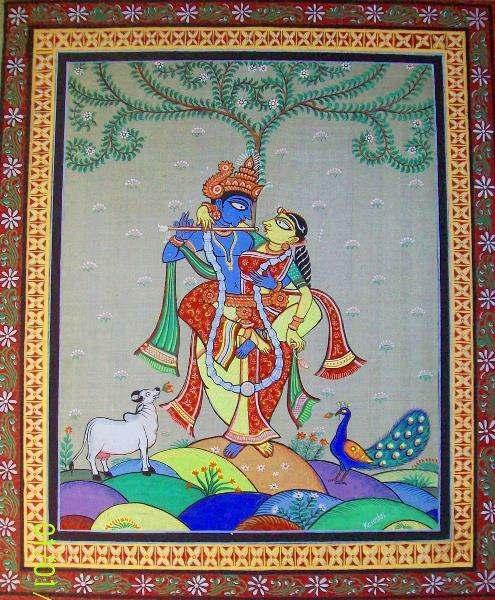 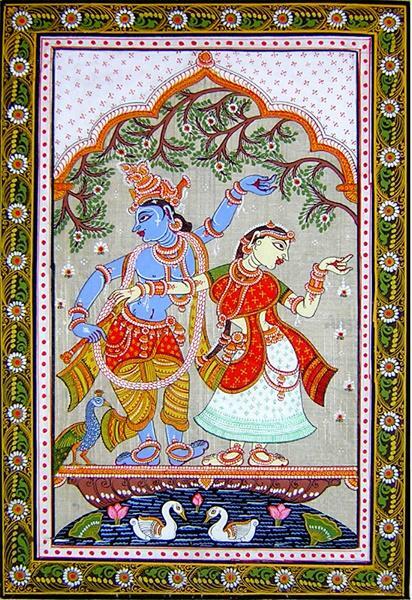 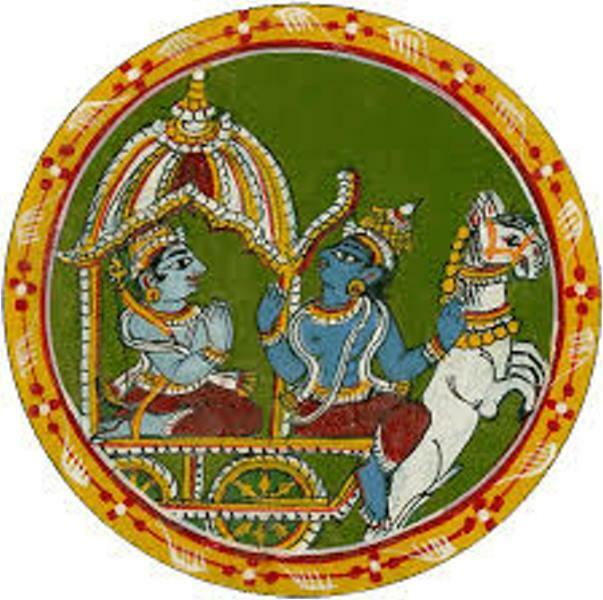 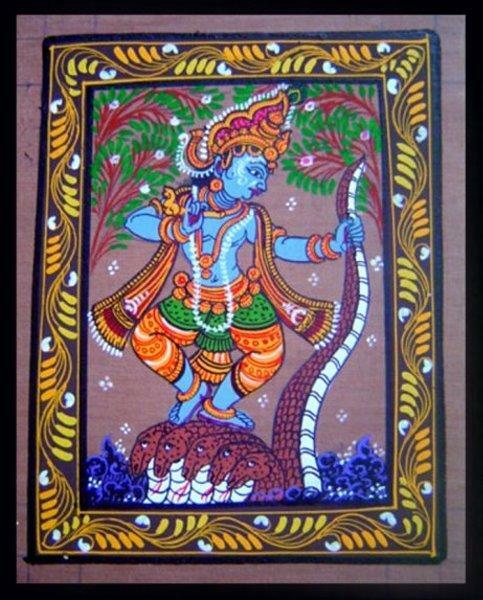 The Orissa Pattachitra Paintings have been a part of the heritage of Orissa since time immemorial. 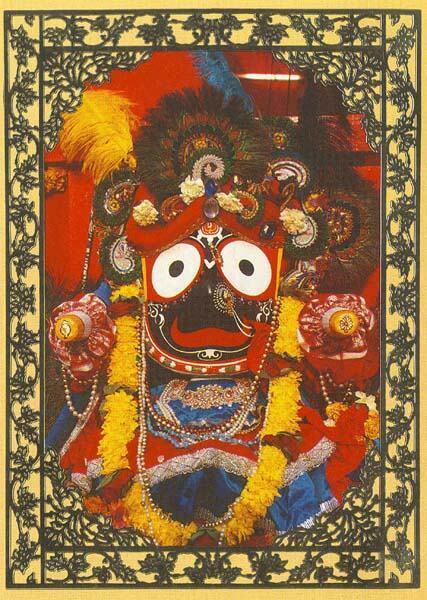 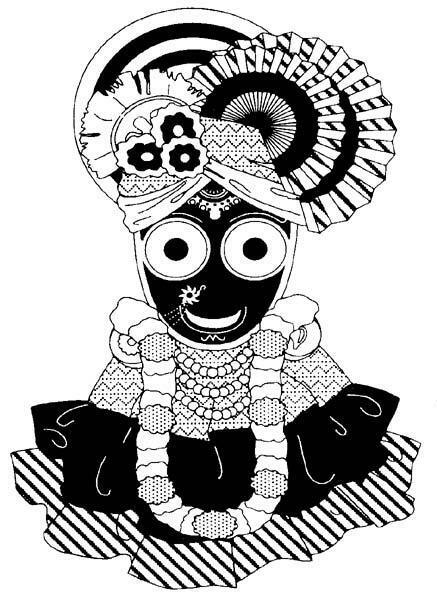 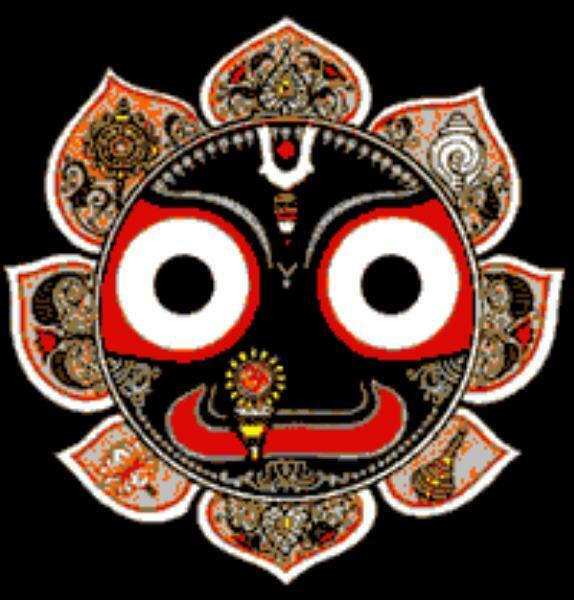 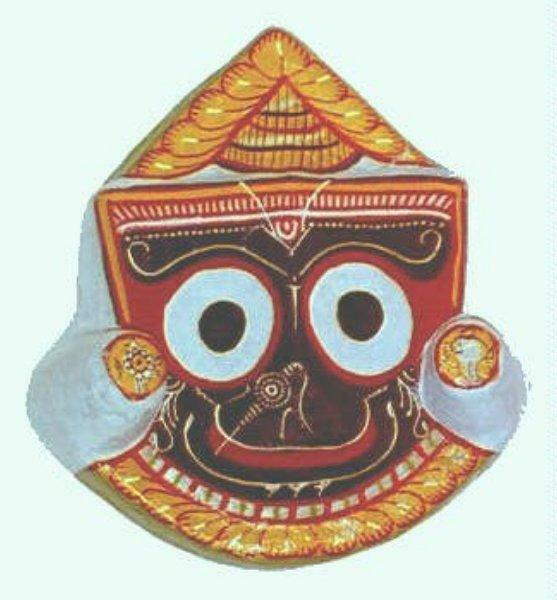 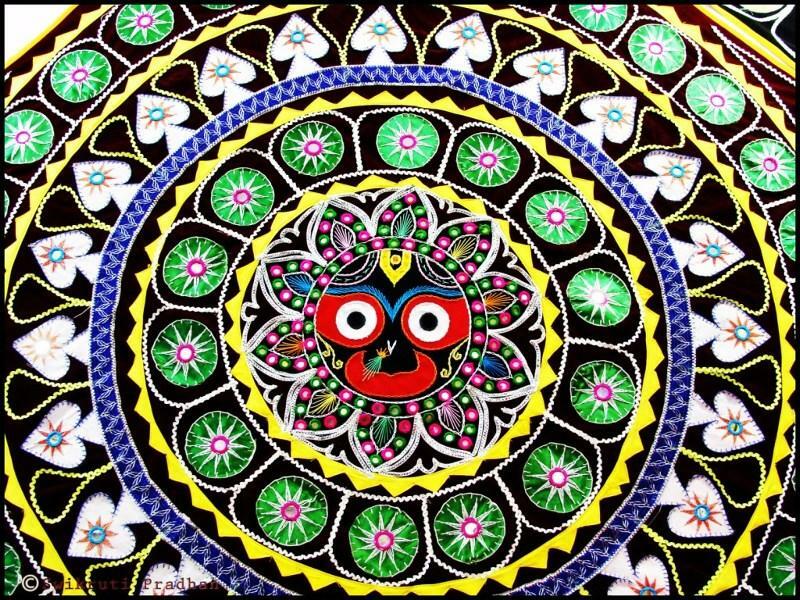 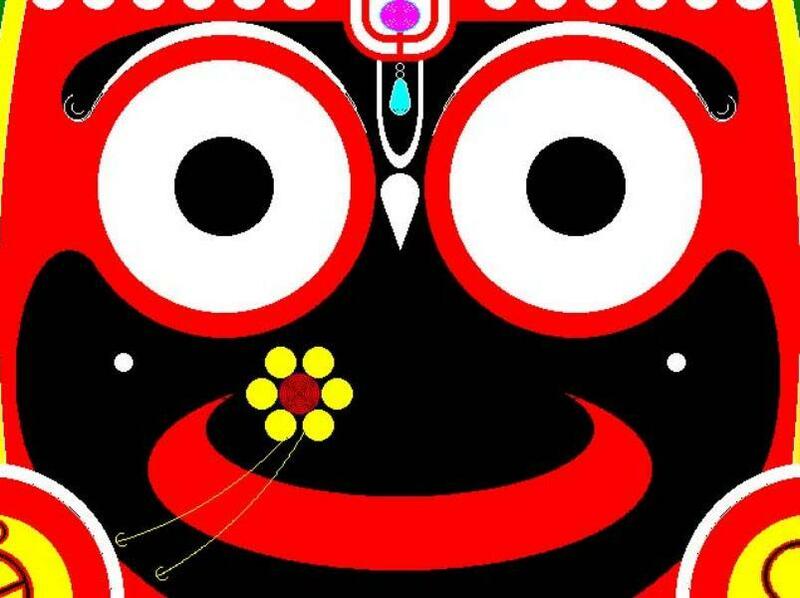 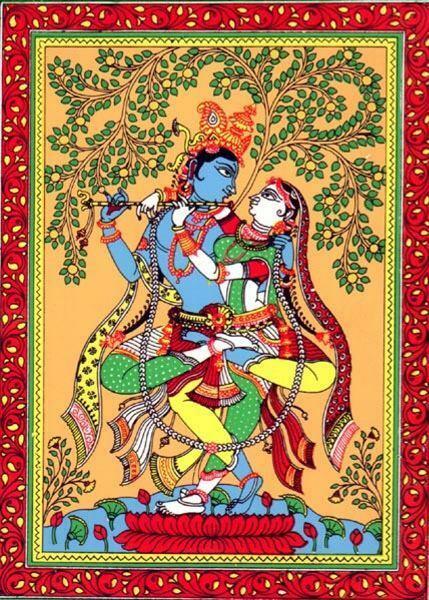 They are intricately linked to the cult of Lord Jagannath, an incarnation of Lord Vishnu. 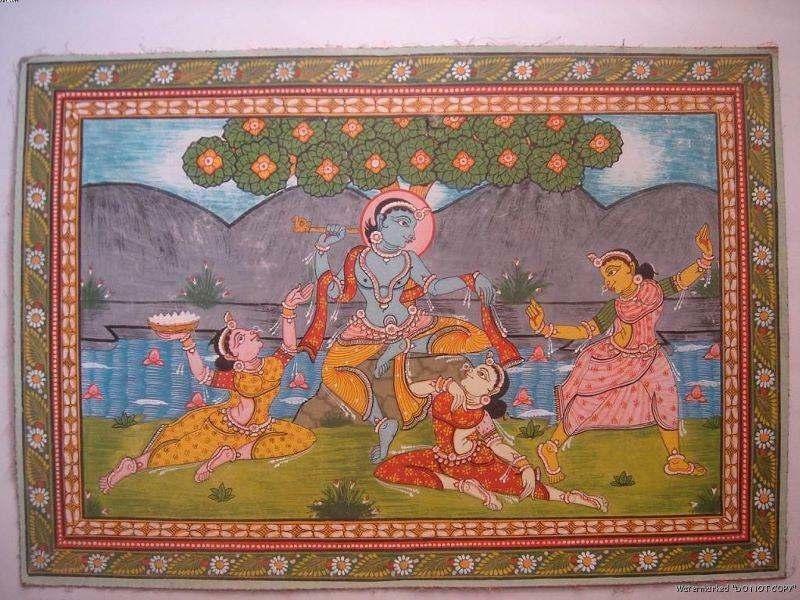 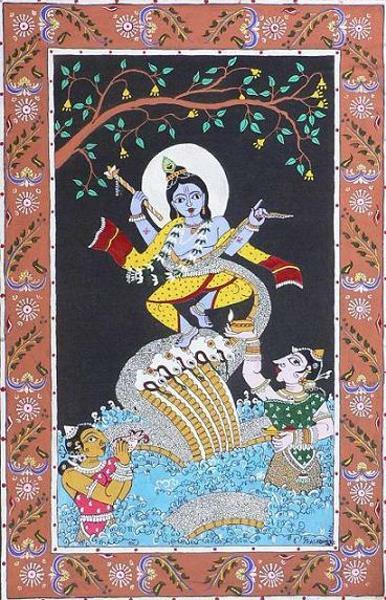 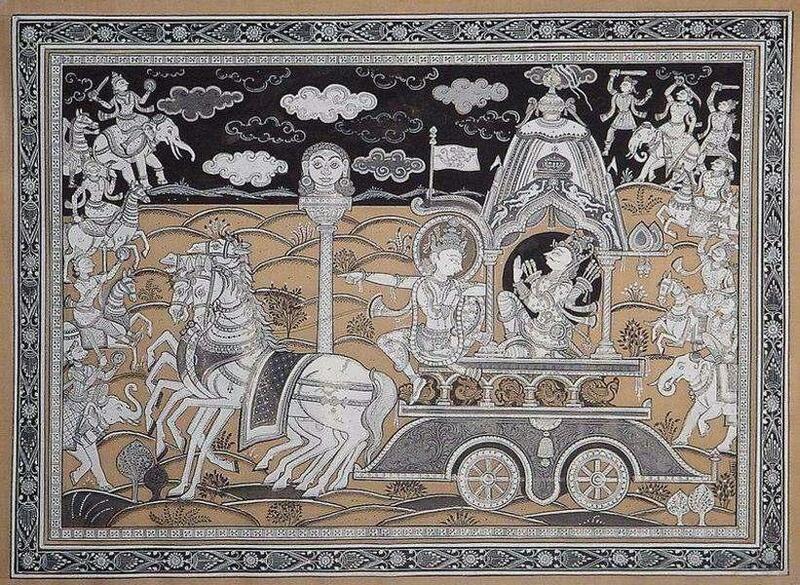 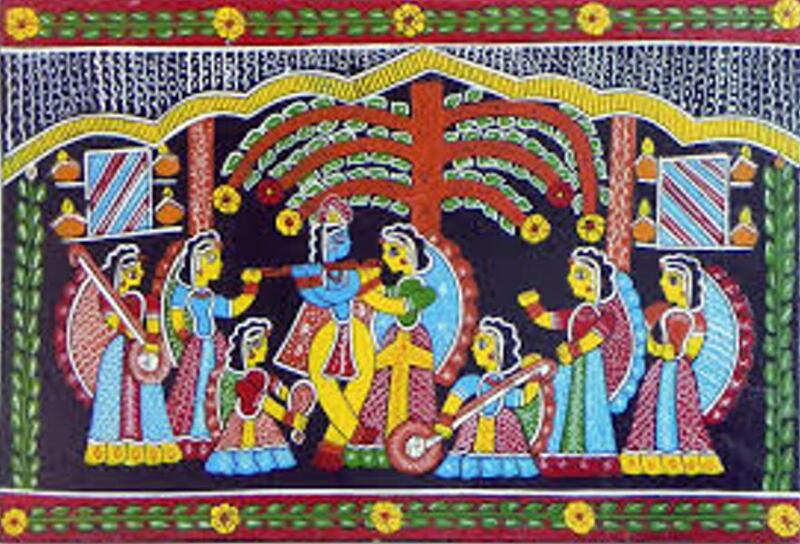 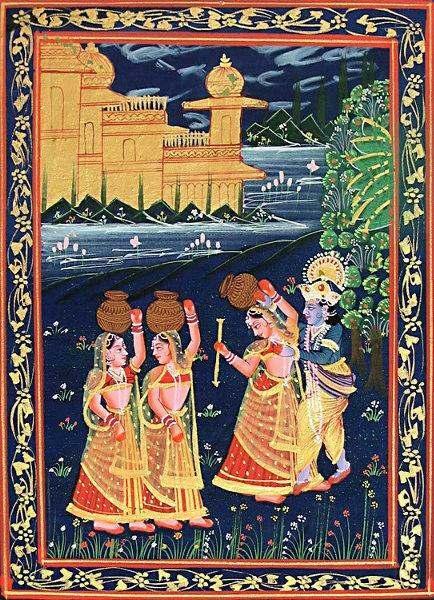 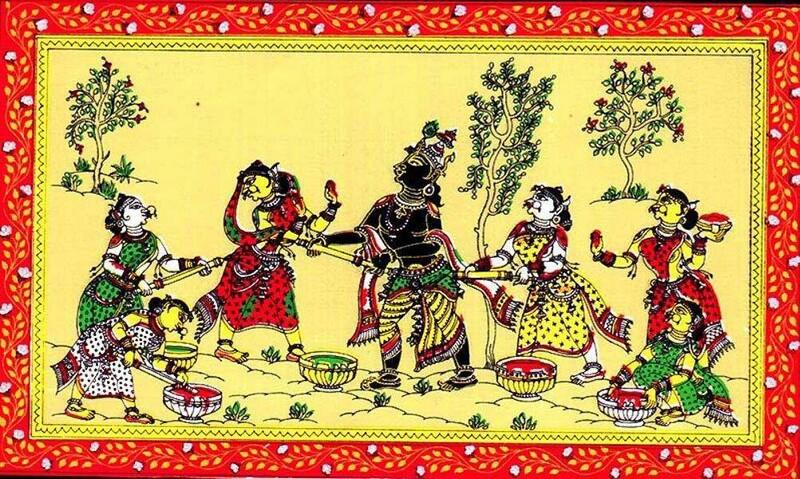 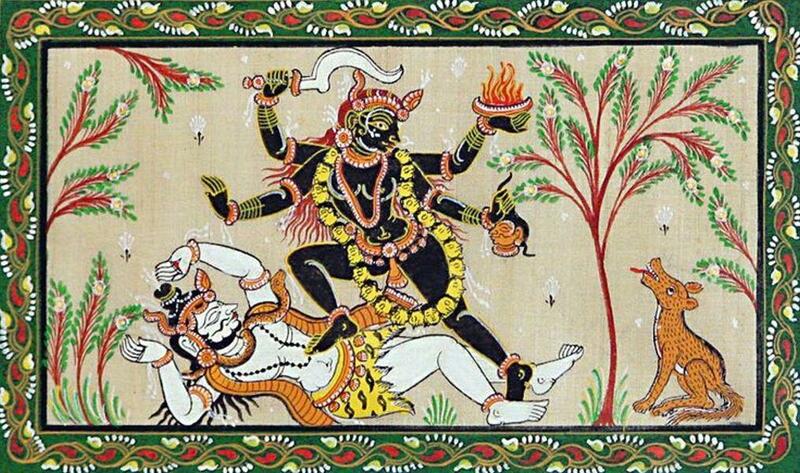 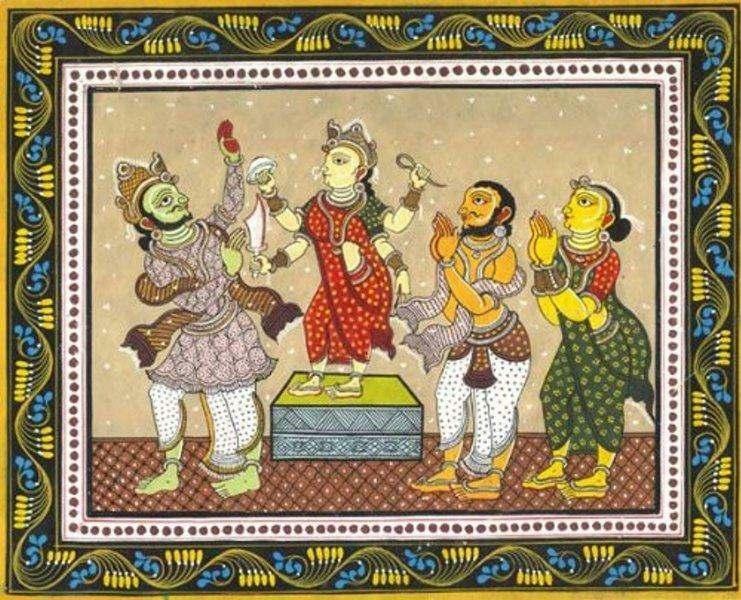 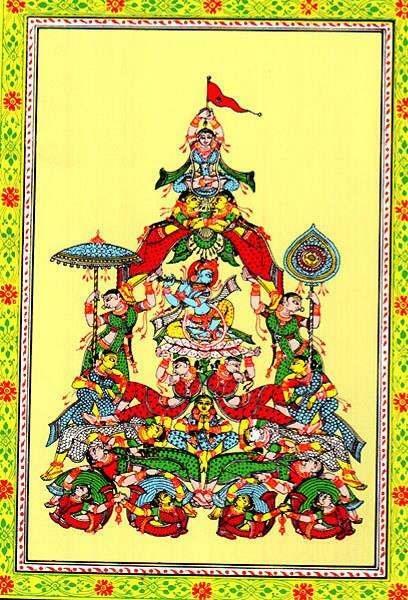 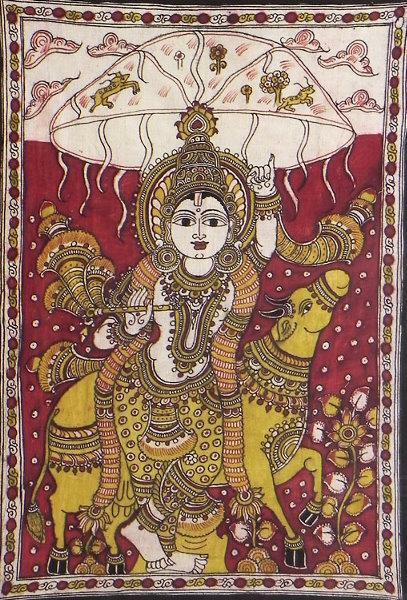 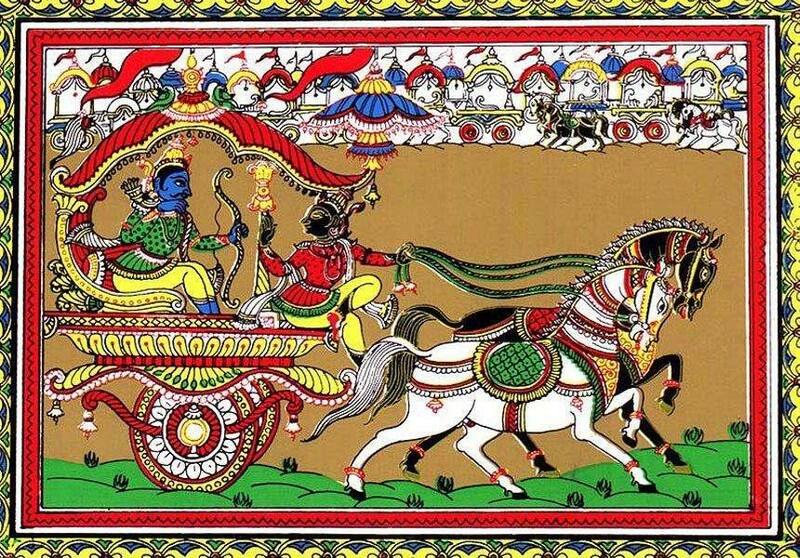 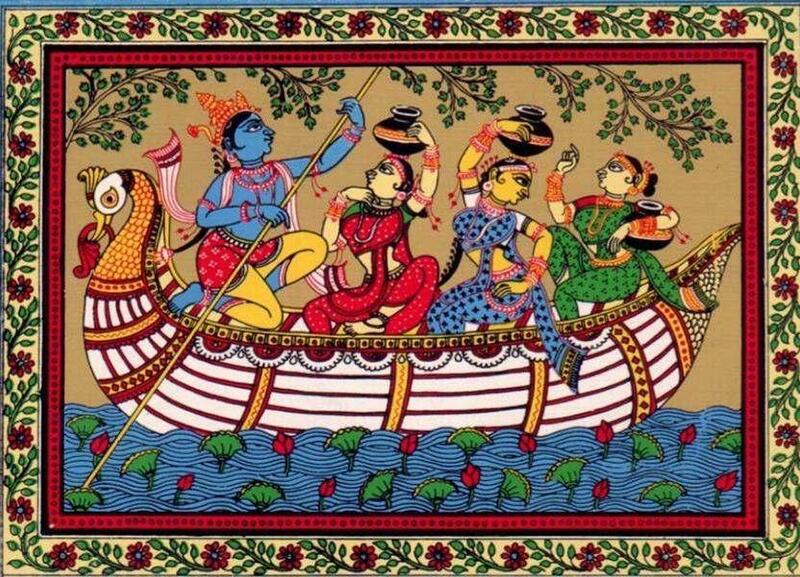 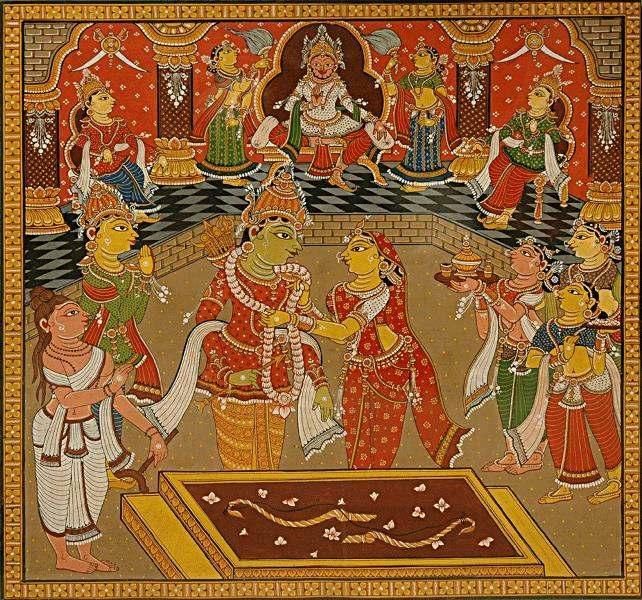 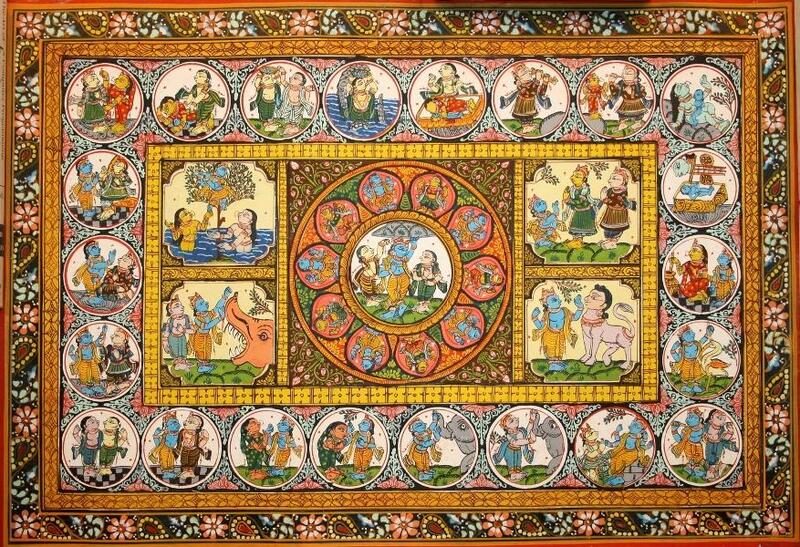 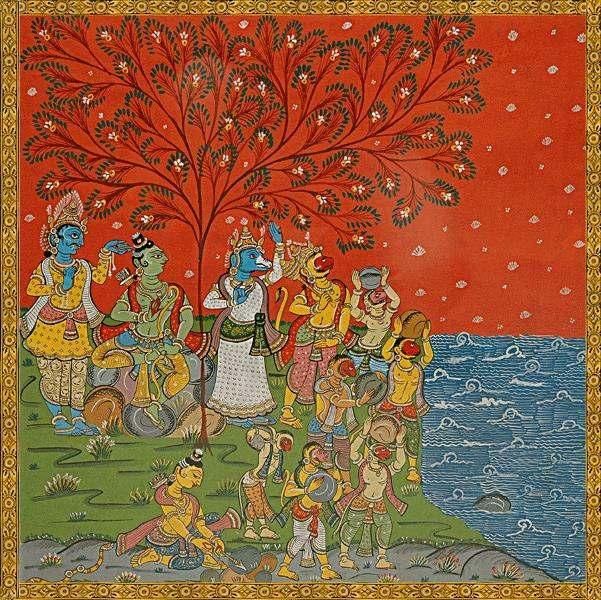 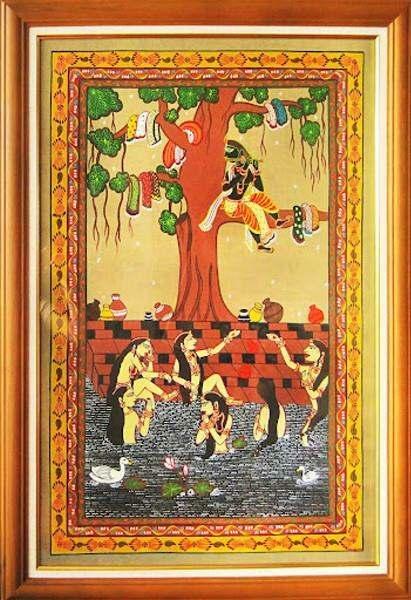 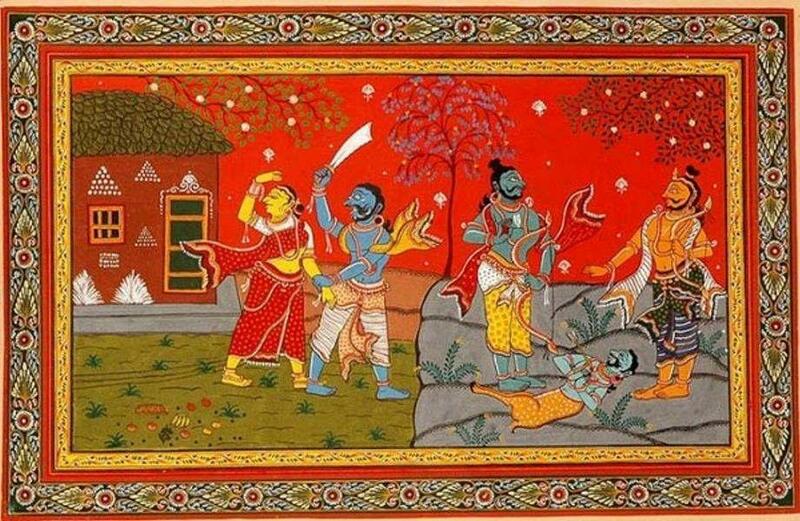 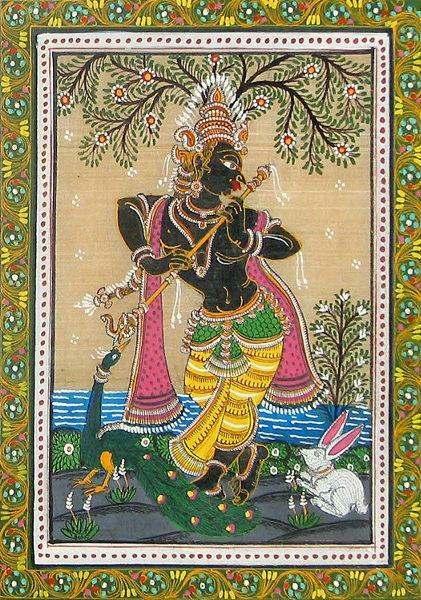 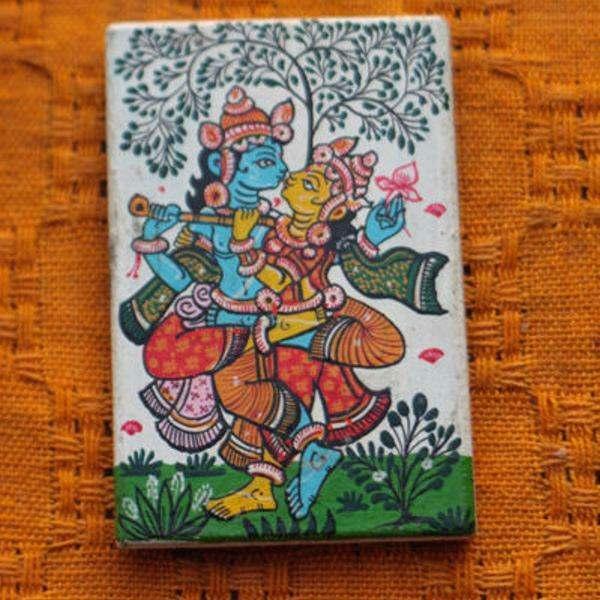 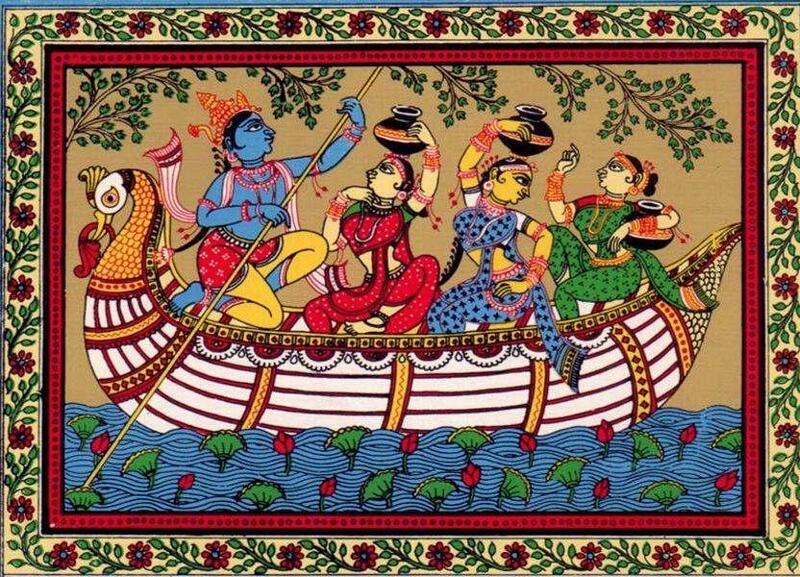 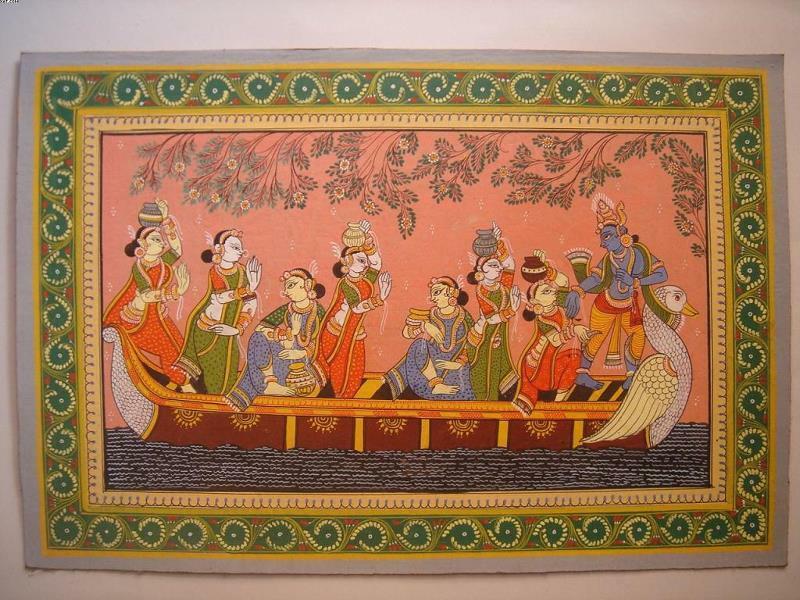 The art of 'Pattachitra' commenced as a ritual. 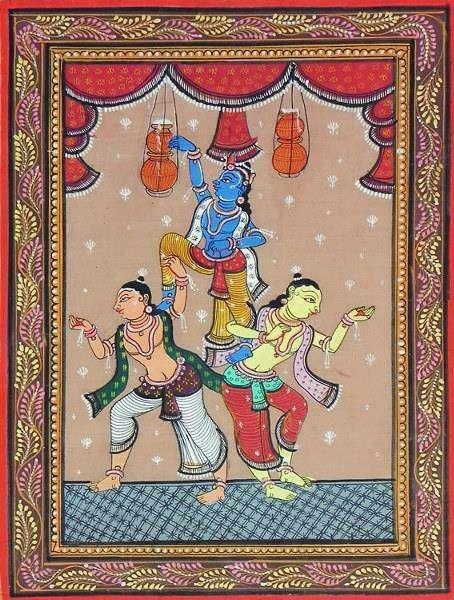 But now it has burgeoned into a bona fide school of painting. 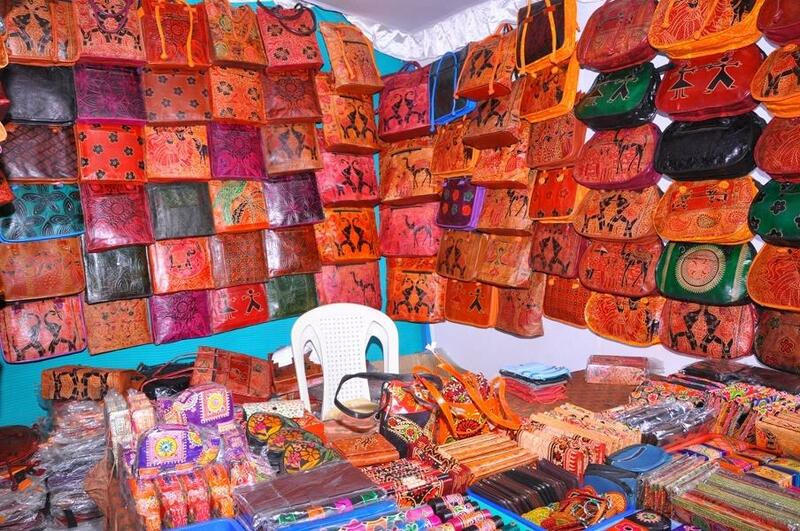 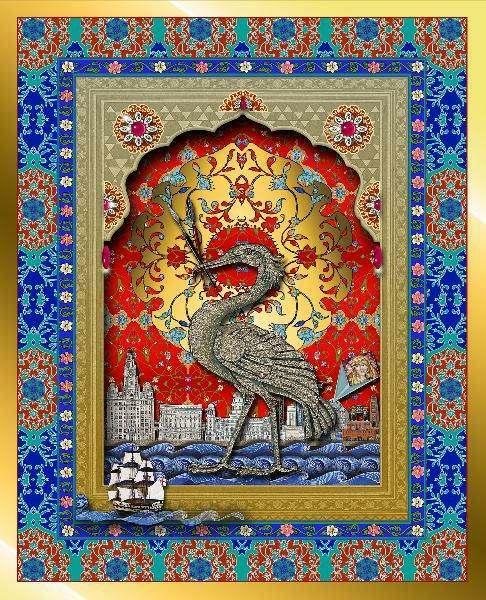 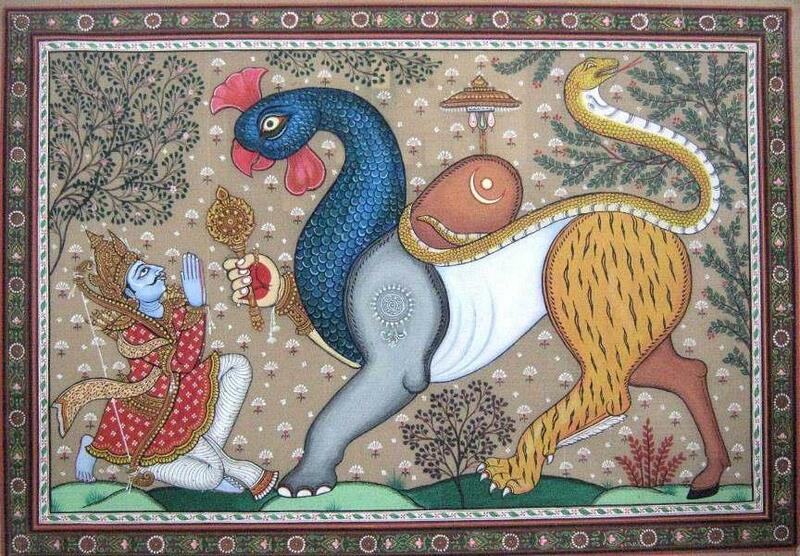 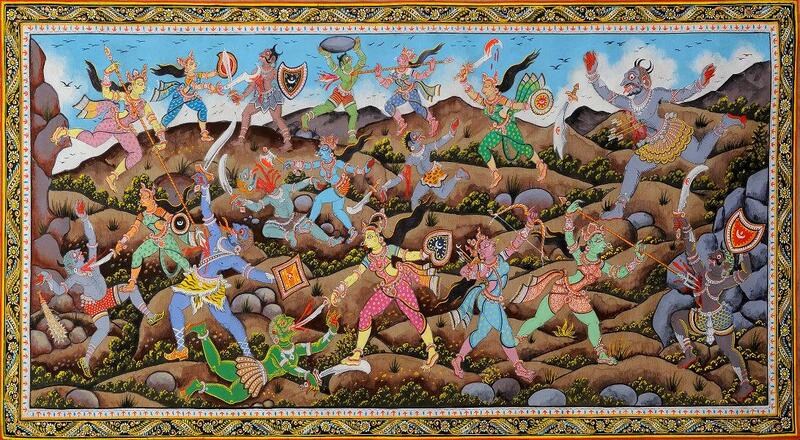 The exponents of this kind of art are called the 'Chitrakars'. 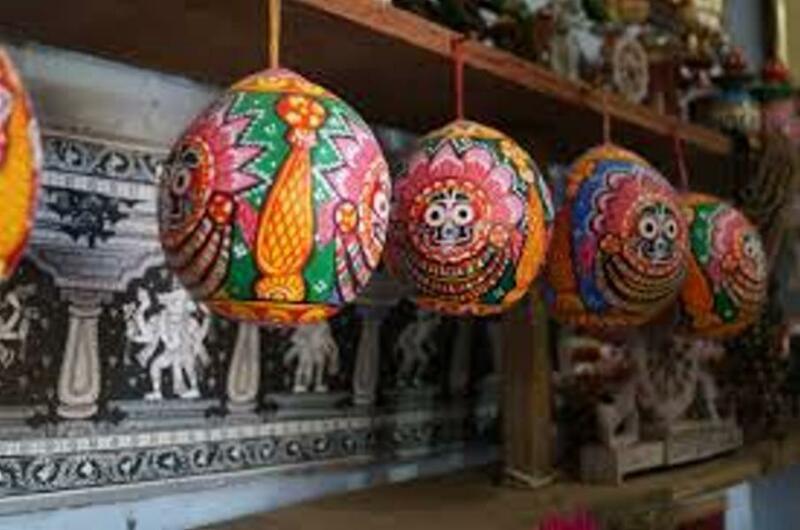 They are local to Puri and two adjacent villages, namely Dandshahi and Raghuraipur. 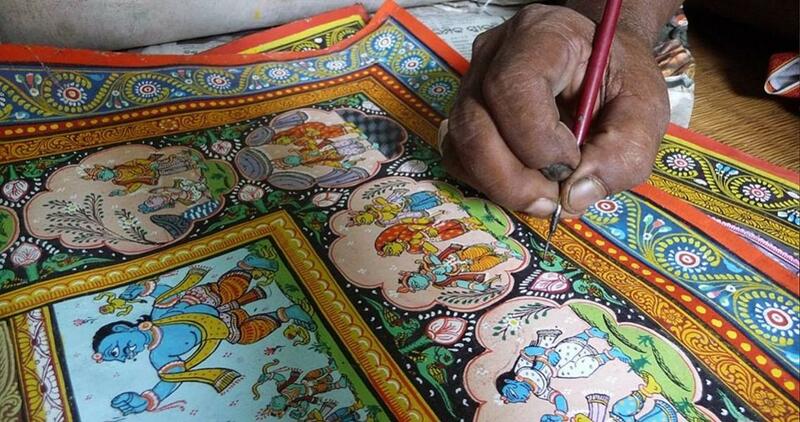 Each of them possess a family sketchbook which is a traditional legacy handed down from generations. 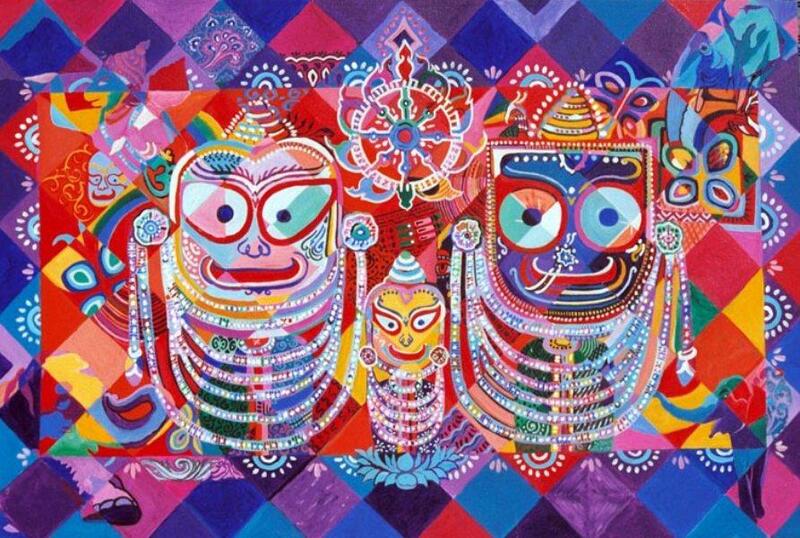 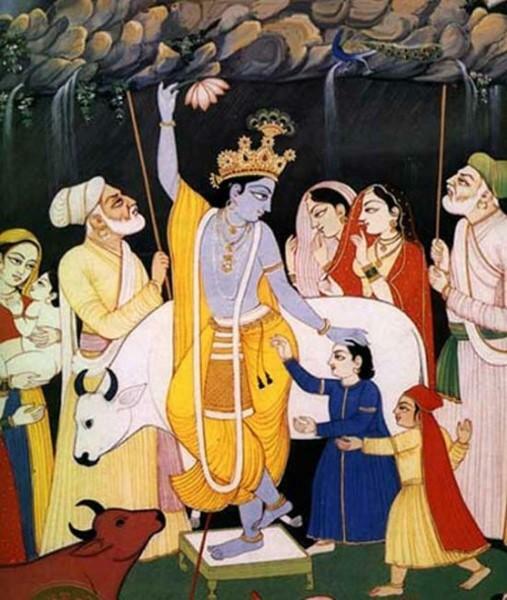 They prepare the canvas with a lot of care and call it 'Nirvas Kalpa'. 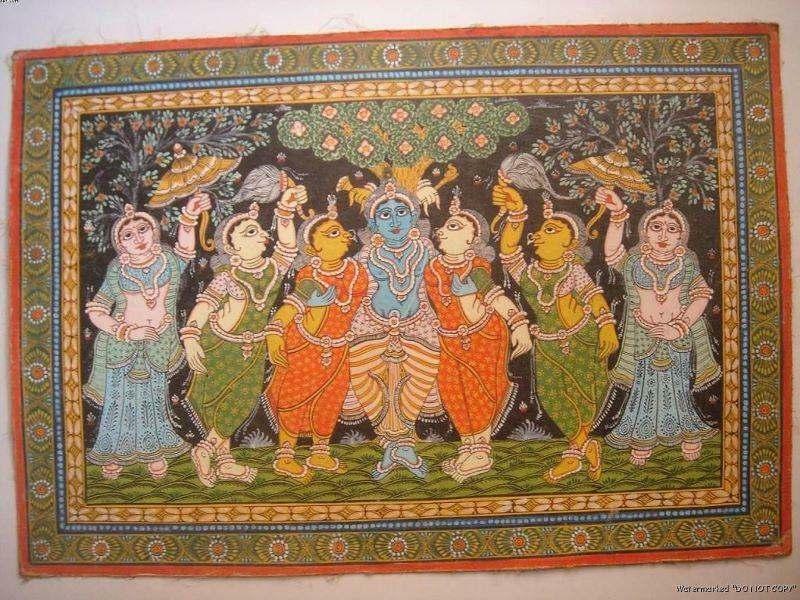 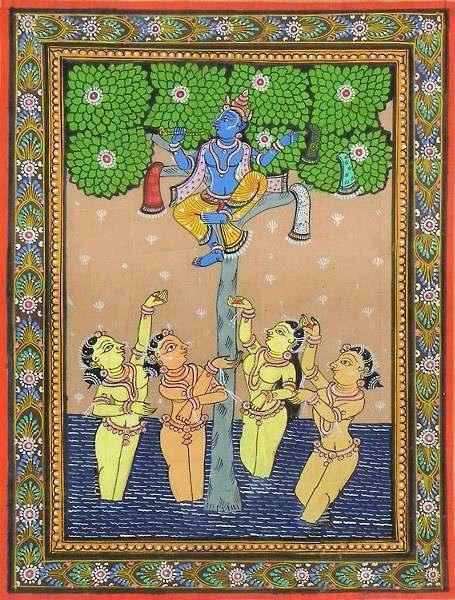 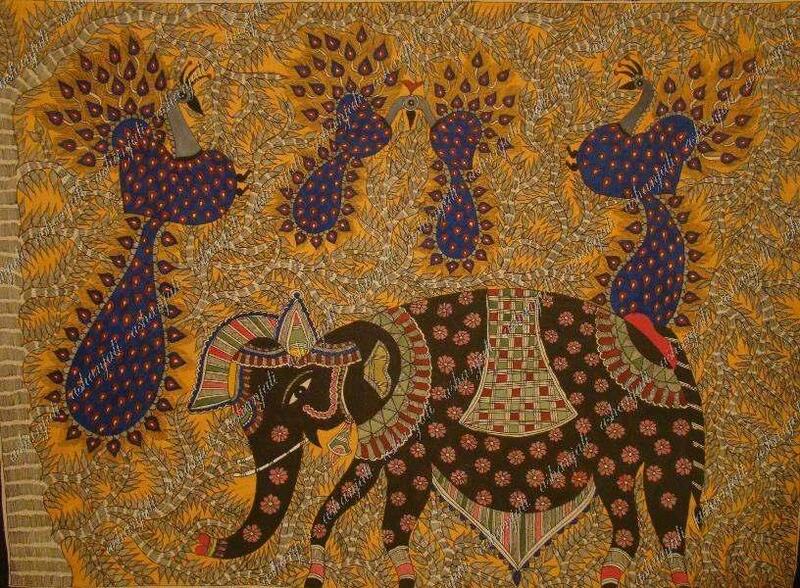 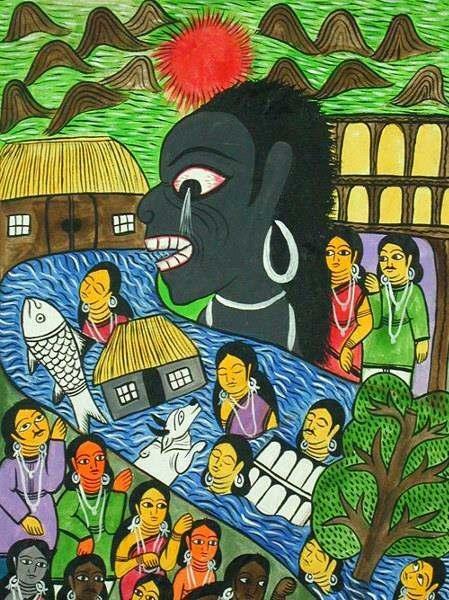 In fact, this quintessential art form depicts the cultural legacy of the bucolic locales and finds expression through the paintings of Orissa which has been passed down the generations.